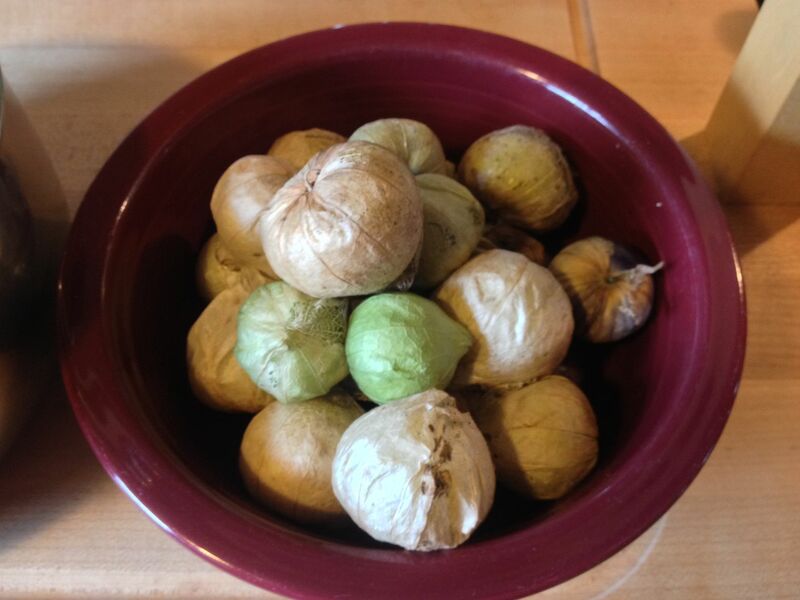 This past week, a colleague was kind enough to bring me some tomatillos from the bumper crop she has grown at home. What to do? Make salsa or make a sauce? After careful consideration, spurred on by the fact that Costco had halibut fillets on sale, I decided to make a nice tomatillo cream sauce with Mexican flavors. Where to start? 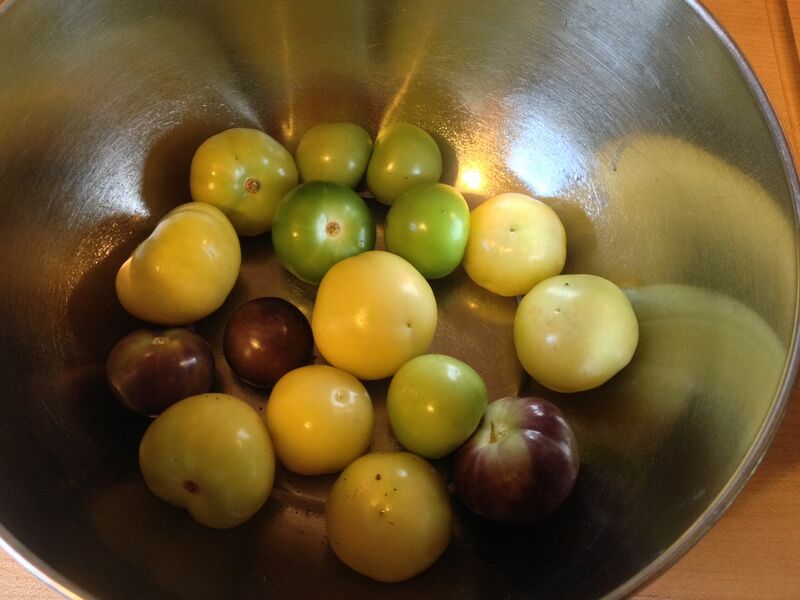 I had never cooked with or even tasted a tomatillo. So, I performed some internet research for a baseline to work from. 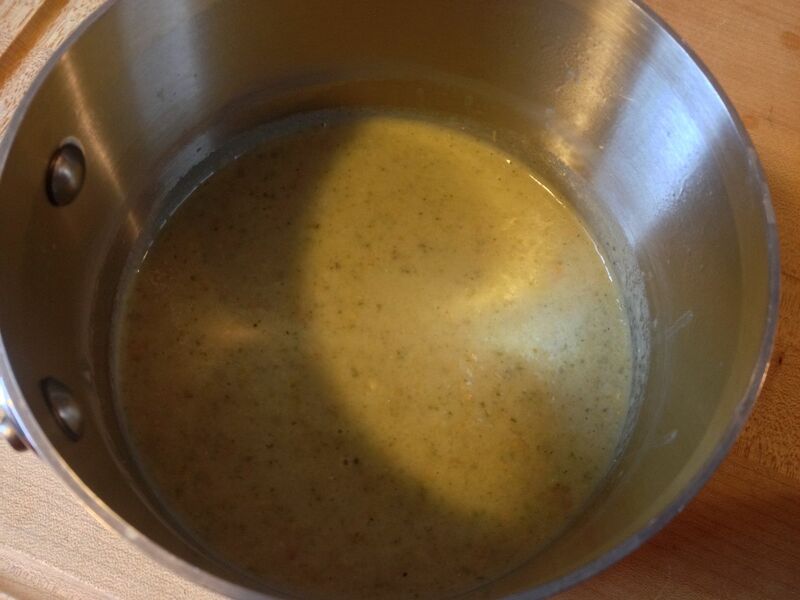 The recipe that I used was this one from Melissa d'Arabian on the Food Network website: Tomatillo Sauce Recipe. First I husked the tomatillos, rinsed, and dried. Then, I quartered my onion, rinsed and dried my jalapeños from the garden, and grabbed the three cloves of garlic. I place them all in a bowl, added the olive oil and salt, then roasted at 350 F for 30 minutes per the recipe. After roasting, I removed the stems from and seeded the jalapeños. Then, I removed the garlic from their husks. Then, all of the roasted veggies and garlic went into the food processor along with the dry spices and was blended on high. While blending, I added the 1/4 cup of low fat half and half. Here is the final product. I placed the sauce into a small sauce pan for reheating. Then, after lighting the grill, I took a halibut fillet, cut in half, and rinsed and dried thoroughly. The fillets received a thin coating of olive oil along with a seasoning of sea salt and fresh ground pepper. On to the grill they went. 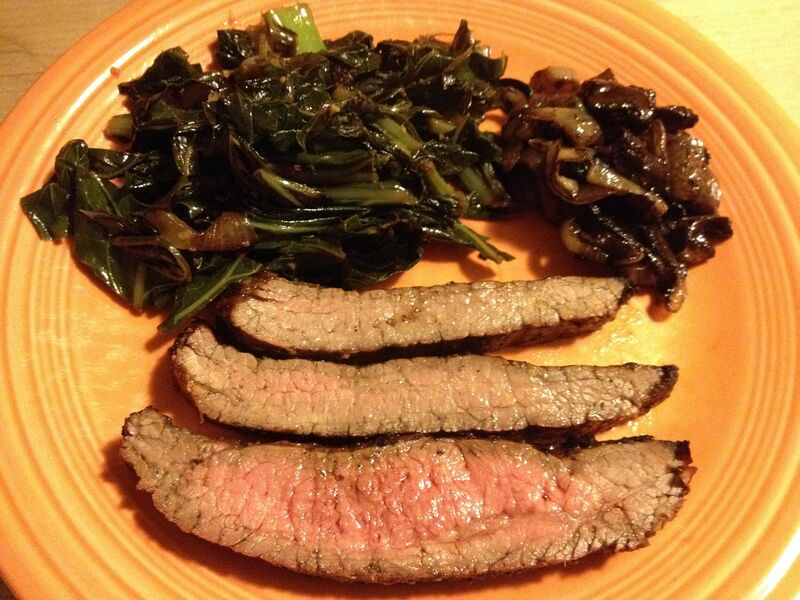 I grilled the fillets for about 5 minutes a side, or until they started to get flaky. 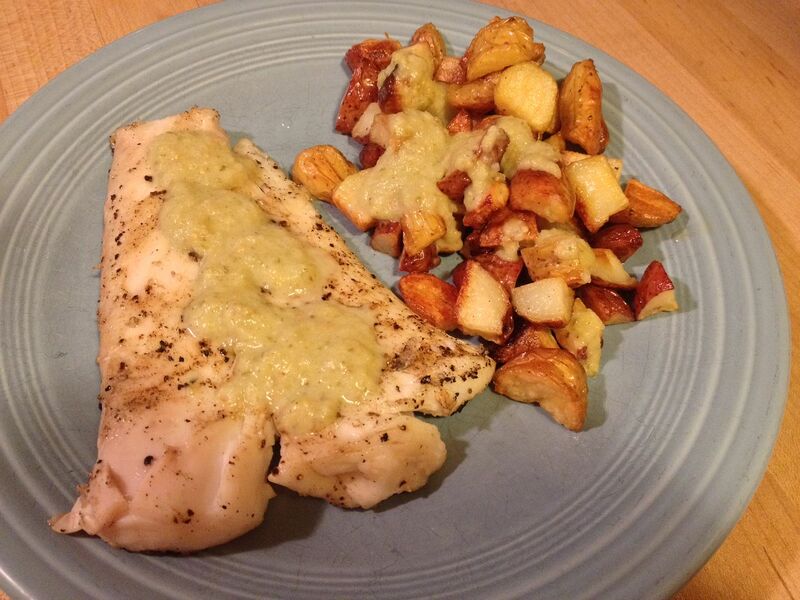 After plating, I covered with the tomatillo sauce that was gently warmed on the stove. I also served and a side of crispy roasted red and fingerling potatoes. The potatoes even received a dollop of the sauce. First, the smell of roasting tomatillos was intoxicating. 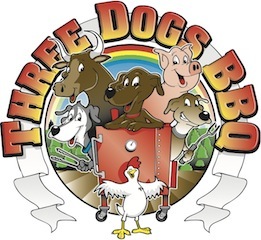 They had a different aroma than you get from roasting your standard tomato. I can't describe it to be honest. You'll have to try it for your self. 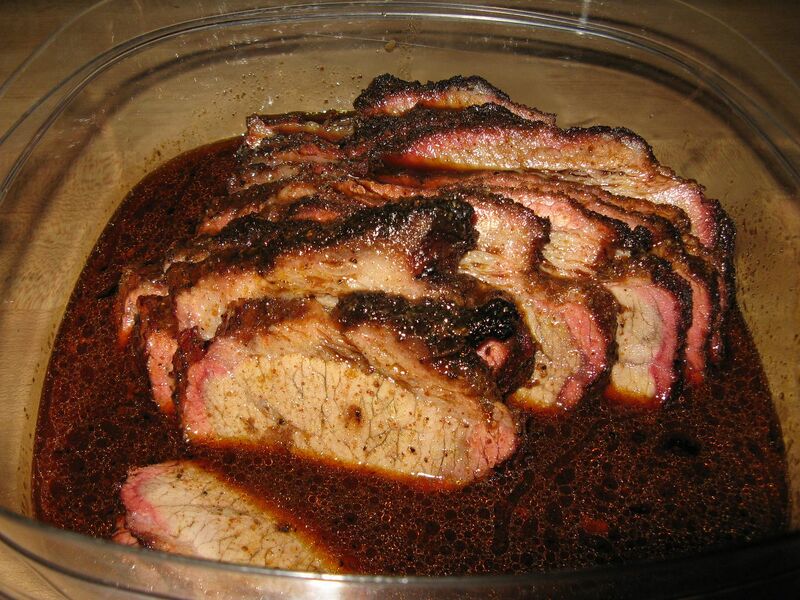 As for the sauce, it was outstanding. Almost tomato like, it was sweeter than a tomato, yet tart as well. There was also a deeper flavor than you get with a standard roasted tomato. 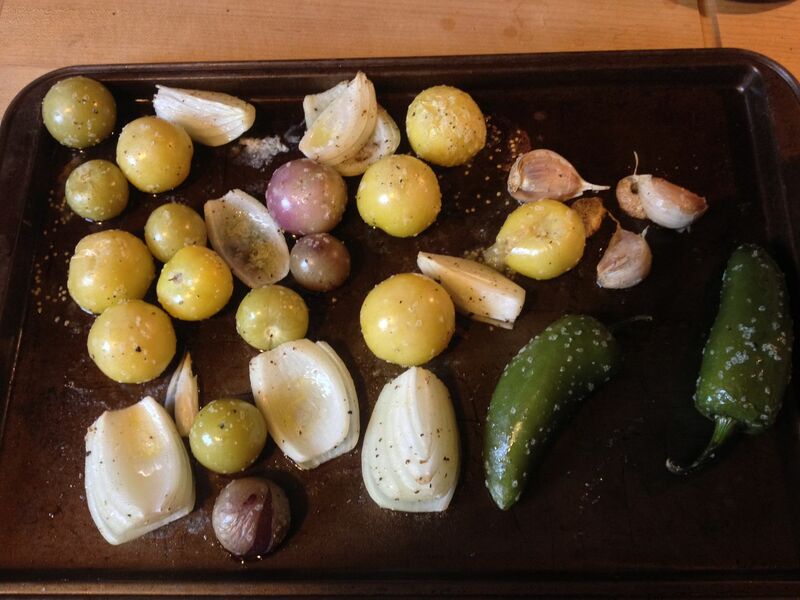 I can't wait to get some more tomatillos and start experimenting with salsas. Tomatillo plants will be in our garden next year for sure.